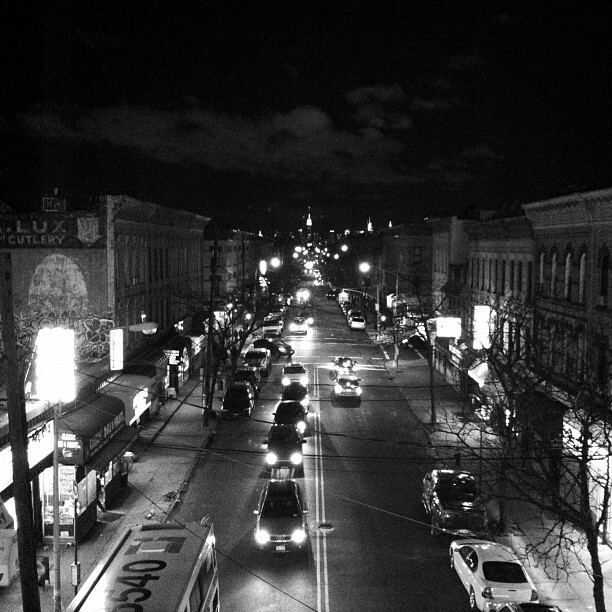 Seneca Ave, Queens. The Empire State Building is visible in the distance. Eat like a bartender. Drink like a chef.